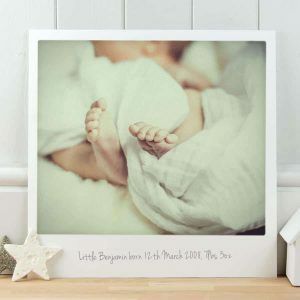 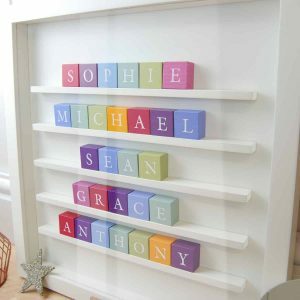 Our Personalised Baby Gifts are designed to impress and become cherished keepsakes that will last for many years. 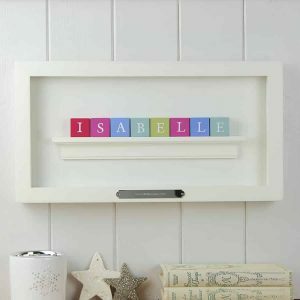 Almost all our products can be customised with dates or personal messages. 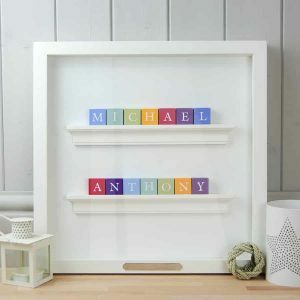 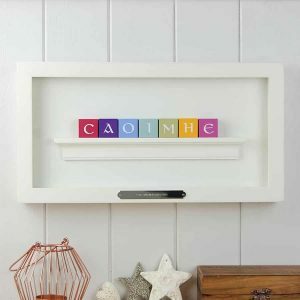 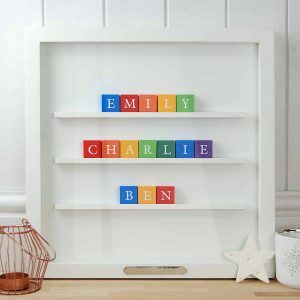 You can choose from our popular ABC Frames – Baby or child’s name made up in miniature coloured ABC blocks available in a great range of colours and fonts. 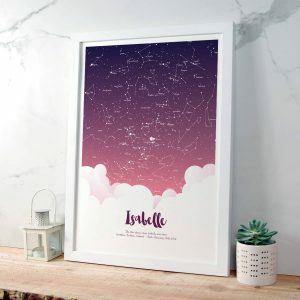 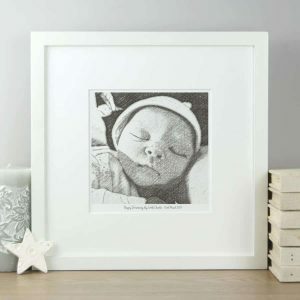 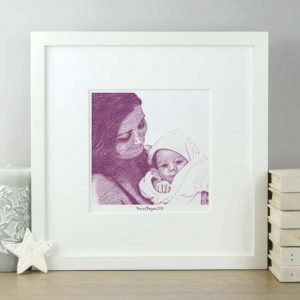 Or a wide choice of personalised prints – Hand brush font prints, Pencil style portraits made from your favourite photos, these can be created from even the smallest photos with stunning results. 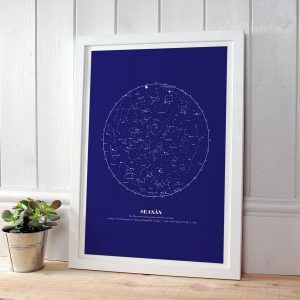 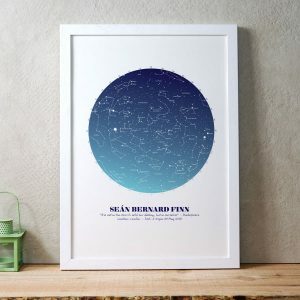 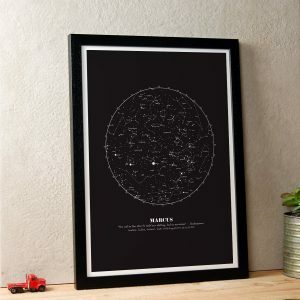 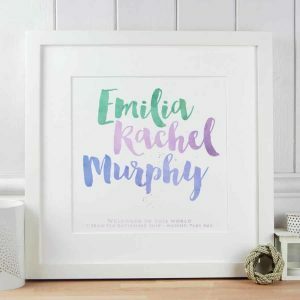 All our personalised prints are proefessionally printed on heavy watercolour paper and guaranteed to never fade. 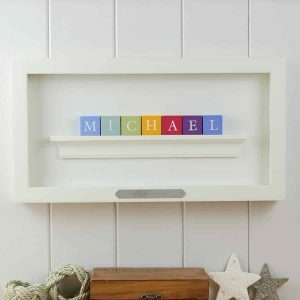 Designed and made in Ireland, we can deliver to your home, workplace or anywhere else in the world. 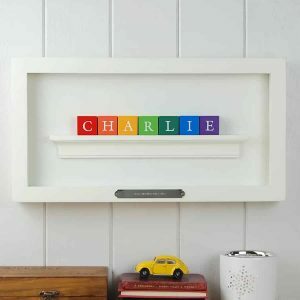 Just add a note with your order on the checkout page and we will include this for you. 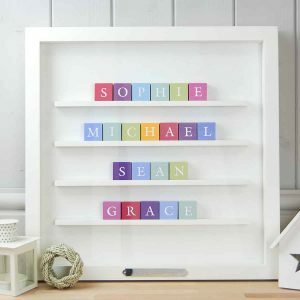 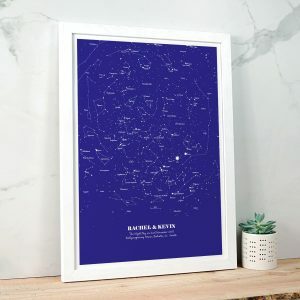 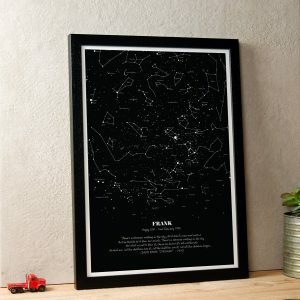 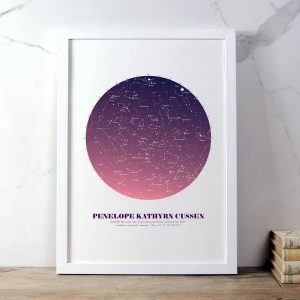 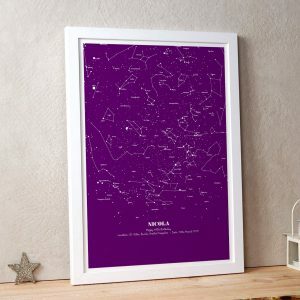 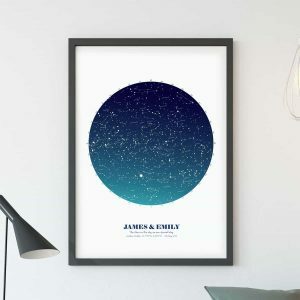 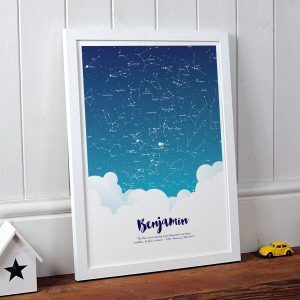 Perfect for Triplets, a whole family of names or a gift for three.